The leaf blades are mostly ⅛″ to 5 ⁄16″ wide but may be up to ½″ wide. The sheath of the uppermost leaf is less than ⅝″ long. The tip of the ligule is rounded. 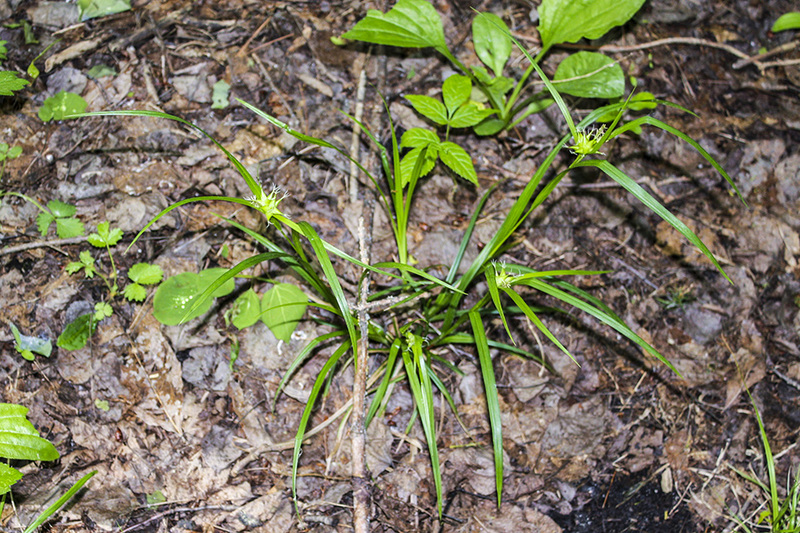 The inflorescence is 1 staminate spike and 1 to 4 pistillate spikes at the end of the culm. The leaf-like bracts subtending the inflorescence overtop the inflorescence. The staminate spike is on a slender stalk about the same length as the pistillate spikes. 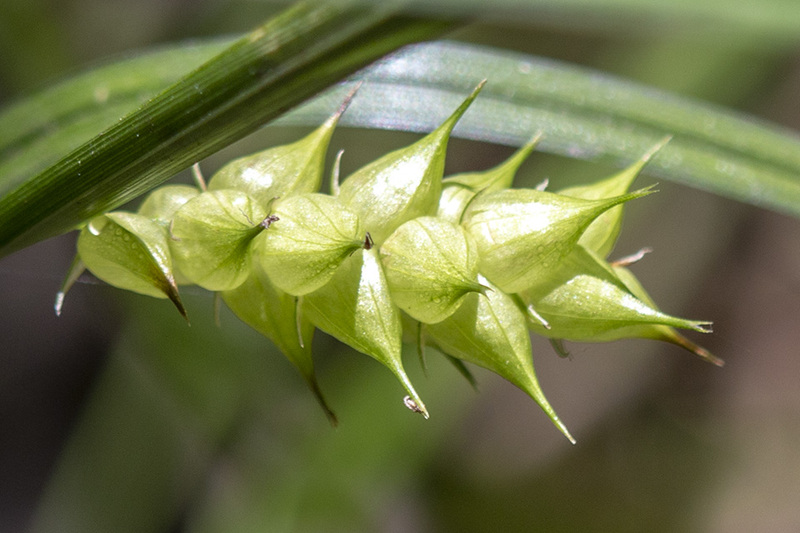 The pistillate spikes, if more than 1, are closely grouped and difficult to distinguish. They are slightly longer than wide and have 2 to 12 mostly ascending perigynia. The perigynia are teardrop-shaped, widest below the middle, strongly veined, and shiny. 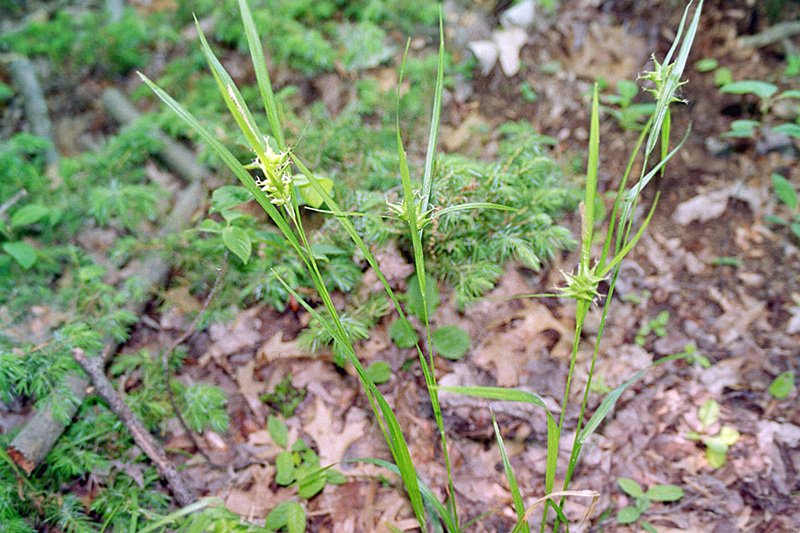 Gray's sedge (Carex grayi) perigynia are dull, not shiny. They radiate in all directions, including downward, making the head look like a medieval mace. Hop sedge (Carex lupulina) uppermost leaf sheaths are more than ⅝″ long. Pistillate spikes have up to 80 perigynia and are much longer than wide. Sources: 2, 3, 4, 5, 7, 28, 29. 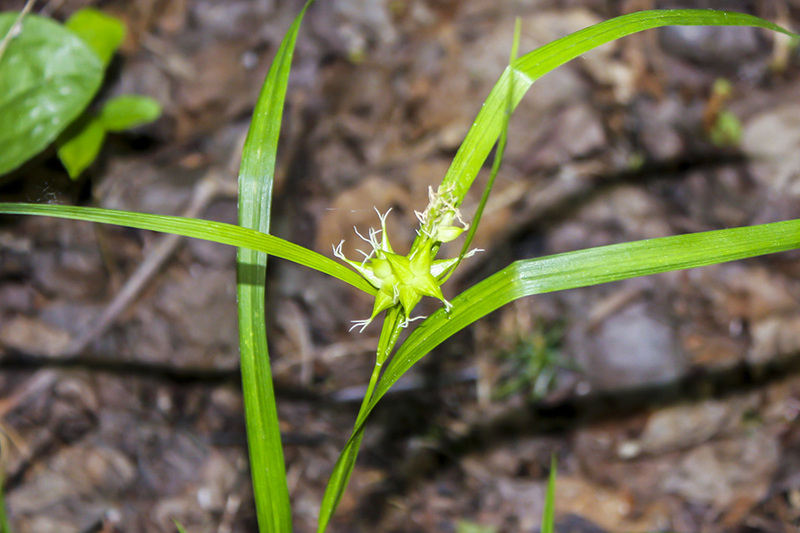 In grasses and sedges, a membranous appendage at the junction of the leaf and the leaf sheath, sometimes no more than a fringe of hairs. In flowering plants, the flat, strap-shaped, petal-like portion of the corolla of a ray floret. 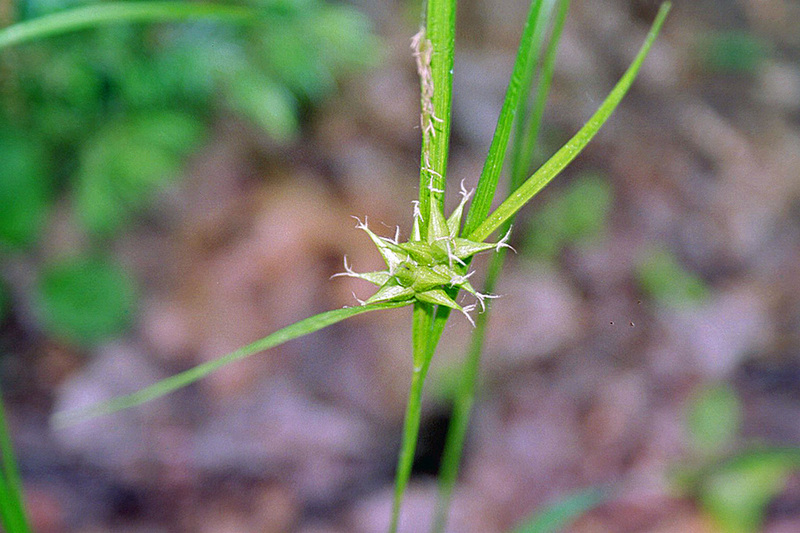 In Carex and other closely related sedges, a sac-like structure that surrounds the pistillate flower and later encloses the achene. Plural: perigynia.